Approximately 12 million women in the United States experience clinical depression each year. Depression occurs most frequently in women aged 25 to 44. Women experience depression at roughly twice the rate of men. 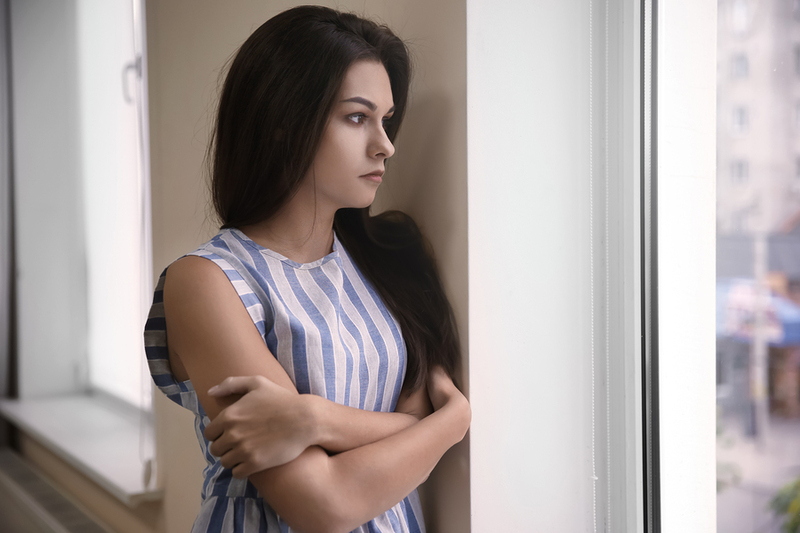 Research shows a definite connection between hypothyroidism and depression, and it has been well established that depression is a symptom of low thyroid function. People with depression, anxiety and psychiatric problems often have low levels of thyroid hormone. Hypothyroidism is a condition in which your thyroid gland doesn’t produce enough thyroid hormone or thyroid hormone isn’t being used efficiently at the cellular level. Subclinical hypothyroidism is defined as low thyroid function that goes undiagnosed because it is below the surface of clinical detection, or has no recognizable clinical findings. Subclinical hypothyroidism is defined as a condition without typical symptoms of hypothyroidism, elevated TSH, and normal circulating thyroid hormone. People with hypothyroidism may experience any or all of the following symptoms, but will often be misdiagnosed because of a single blood test: constant tiredness, difficulty losing weight, constipation, coarse hair, dry skin, cold intolerance, muscle cramps, memory loss, irritability, and abnormal menstrual cycles. Thyroid hormone governs our body’s metabolism and energy production. Without adequate levels of thyroid hormone and its proper utilization, symptoms such as depression, anxiety, mood swings, brain fog and poor concentration become increasingly prevalent. Unfortunately, it is common for people with hypothyroidism to be given a misdiagnosis of a psychiatric illness, such as depression. Often a person’s TSH blood work is “within the normal range,” so their physician will determine they are not hypothyroid strictly based on this one lab value, and diagnose them with depression. Unfortunately, this diagnosis often leads to the prescription of antidepressants. We strongly caution against the use of antidepressants. These drugs are dangerous because they are addictive and have many negative side effects, including more depression, and homicidal and suicidal tendencies. Dr. Peter Breggin, an expert witness on antidepressants and how they affect your brain, testifies at trials on how these drugs affect behavior that leads to murder and suicide. If you are currently taking an antidepressant, please do not stop – you must work with your doctor to wean off of it slowly and safely. A great resource is “The Antidepressant Solution: A Step-by-Step Guide to Safely Overcoming Antidepressant Withdrawal, Dependence, and ‘Addiction” by Dr. Joseph Glenmullen. In our practice, our physicians have had great success in treating the symptoms of hypothyroidism with desiccated thyroid, which has both T3 and T4, the active and inactive thyroid hormones. We find that most patients on Synthroid (T4 only) don’t get a resolution of their symptoms. Remember, the root cause of depression does not lie in an antidepressant deficiency. Treating depression lies in treating the underlying cause, which often occurs with a decline in your thyroid function. 2. Subclinical Hypothyroidism: A Modifiable Risk Factor for Depression? 7. Are Autoimmune Thyroid Dysfunction and Depression Related?